Madrid president Florentino Perez is now faced with deciding whether it is worth keeping Solari until the end of the season, let alone beyond the summer. Solari could have few complaints. Ajax were hard-done-by in the 2-1 first-leg defeat and dominant at the Santiago Bernabeu, their scintillating victory confirming a 5-3 win on aggregate. Hakim Ziyech and David Neres put them two up at half-time and Dusan Tadic made it three before Marco Asensio gave Madrid hope. It lasted two minutes, as Lasse Schone sent a bending free-kick into the top corner before Nacho was sent off late on. Sergio Ramos was in the stands, having earned a deliberate booking to clear his ban, believing the tie was already won. 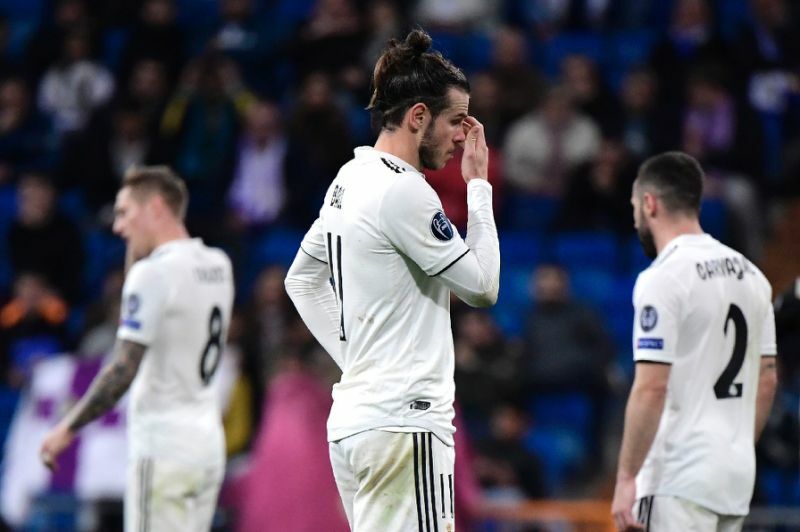 The fans whistled at half-time and Madrid were no better after, creating chances but lacking composure and control. Benzema shimmied past Ziyech but curled wide, only for Ajax to add a sumptuous, albeit controversial, third. They worked it from right to left and then inside again, where Donny van de Beek shifted one last pass to Tadic, who whipped a sizzling shot into the top corner. The cheers stopped as referee Felix Brych waited for VAR, with the ball appearing to have gone out for a throw before Noussair Mazraoui slid to keep it in. The camera angle was unclear and the goal stood. Madrid needed three in 24 minutes and then two in 20, as Asensio swept in Sergio Reguilon’s cross to give them hope. Erik ten Hag was seconds from bringing Schone off but his midfielder bended a free-kick into Courtois’ top corner.